After a recent resurgence, and thanks to the Eurorack format, modular synthesizers continue to grow in popularity. 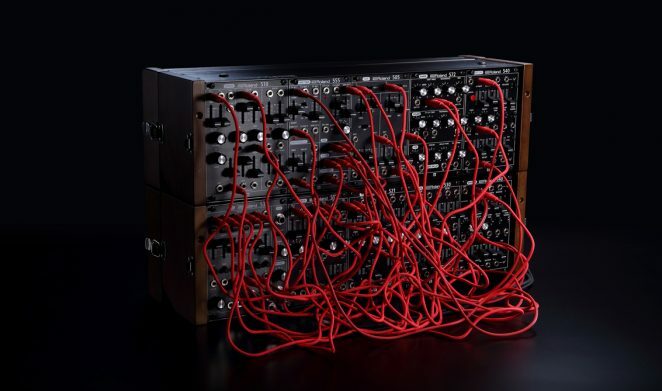 With roots in the dawn of synthesis, modular synthesizers let you design your own electronic instrument, with deep control of each building block. Unparalleled control over how it’s patched lets you craft your own custom sounds and explore the outer bounds of sound design. Roland has a deep history in modular synthesis, having made several modular and semi-modular synthesizers that are now highly sought-after by collectors. In 2015, Roland partnered with Malekko Heavy Industry to bring back these legendary instruments as a series of fully analog Eurorack modules. The SYSTEM-500 was born, finally making the sound of these rare instruments available to today’s musicians. And for 2018, there are four new additions to the SYSTEM-500 family. These modules expand on the SYSTEM-100m-based modules and explore fresh territory. The SYSTEM-500 consists of Eurorack modules that you can mix and match in any combination to create the ultimate Roland modular synthesizer. They’re also a perfect way to inject vintage Roland sound into your existing modular setup. Each module is completely analog and made to exacting standards in a collaborative design and production process between Malekko in Portland, USA and Roland in Hamamatsu, Japan. Designed for maximum compatibility with the world of contemporary synthesizer and effects modules, the SYSTEM-500 delivers vintage Roland character and functionality in a modern system. And the possibilities for sound design and musical exploration are vast. It’s hard to describe what the “Roland Sound” is—but you’ve heard it on countless worldwide hits and underground classics. Something about the character of Roland electronic instruments continues to make them perennial favorites of musicians and producers. For over 40 years, the Roland sound has moved artists to create new genres, moved music forward, and moved feet on dance floors. Often imitated, the SYSTEM-500 brings truly authentic Roland sound to your studio setup or live rig.